The VDOE Reading Network provides K-12 teachers with effective strategies to increase the reading achievement of students with disabilities. Following are useful resources. Students with disabilities have the right to an opportunity to read. 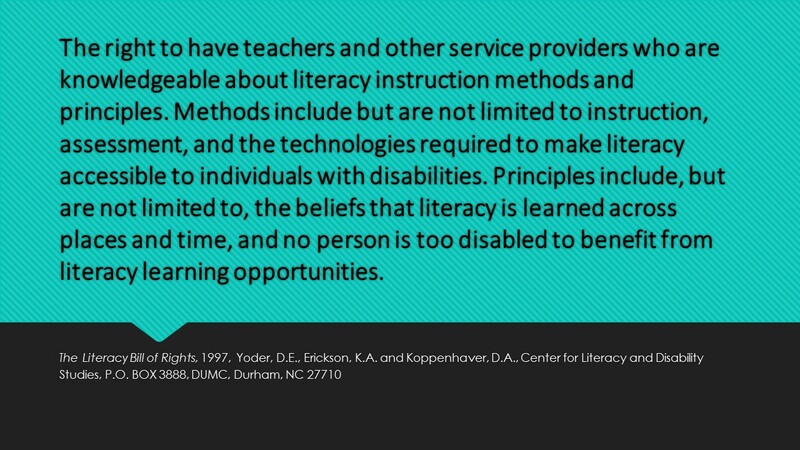 Here is an excerpt from the Literacy Bill of Rights (Yoder, Erickson & Koppenhaver, 1997). Online professional development dedicated to improving instruction for all students, especially struggling readers, English language learners, and special education students. Lexile measures are reported with the scores of students taking SOL reading tests in grades 3-8. Instructional resources can be found at the Lexile.com website. One helpful resource is the Find the Book feature. Enter either a student Lexile score (from a recent SOL test), or the student’s current grade level. 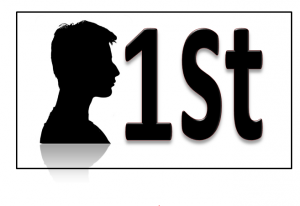 Next, choose subject(s) of interest, and a tailor-made, leveled book list will be created for the student.